Today Apple released a minor update to the latest iTunes 10. 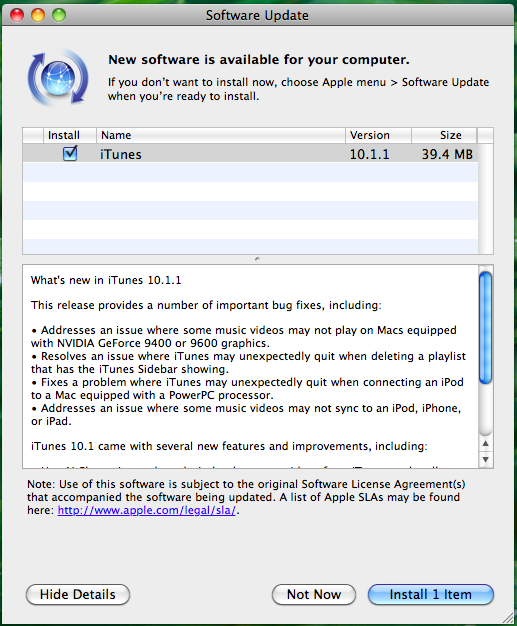 The new iTunes is now version 10.1.1 and is available on a PC/Mac via Apple Software Update or from Apple’s website. The new iTunes 10.1.1 update primarily brings bug fixes with no other major feature upgrades or enhancements. â€¢Â Addresses an issue where some music videos may not play on Macs equipped with NVIDIA GeForce 9400 or 9600 graphics. â€¢Â Resolves an issue where iTunes may unexpectedly quit when deleting a playlist that has the iTunes Sidebar showing. 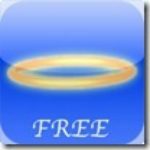 â€¢Â Fixes a problem where iTunes may unexpectedly quit when connecting an iPod to a Mac equipped with a PowerPC processor. â€¢Â Addresses an issue where some music videos may not sync to an iPod, iPhone, or iPad.